When it comes to certain cases, clients may find it difficult to grasp an understanding of the struggles they are going though. Whether dealing with trauma, anger, anxiety, depression or otherwise, it can be a challenge for many clients to understand how they came to become who they are. Sometimes it is not easy to understand how the past can shape certain mental health conditions and issues, so it can be helpful to take time to reflect on the sequence of events that led the client to seek therapy. 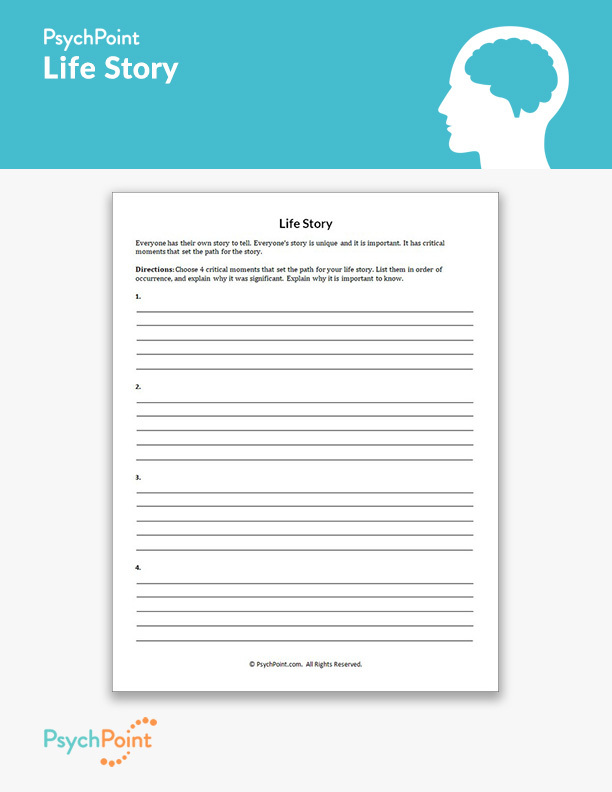 This is the Life Story worksheet. 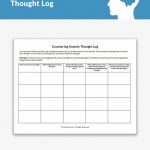 This worksheet serves as an expressive exercise in which a client is asked to reflect on the events of his or her past. 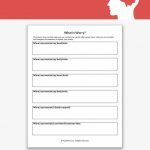 The goal of this worksheet is to teach the client how to reflect on himself or herself and develop understanding and ownership of how the past has shaped the present. It is a powerful exercise that can be telling to both therapist and client, as it is meant to help the client explore their own development of who they are, along with help the therapist identify any patterns that may account for their clinical conditions. On this worksheet the client is asked to recount 4 significant points in his or her life that shaped how they developed into the person they have become. 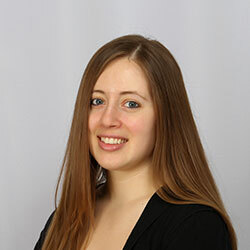 Instruct the client to list the events in order of occurrence. This will help to create a timeline of each of the 4 significant points in the client’s life. When the client is ready, review the 4 events with him or her and reflect on what the events mean to the client. 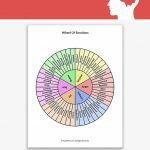 This worksheet is great for adolescents and adults, and is best utilized in an individual therapy setting.